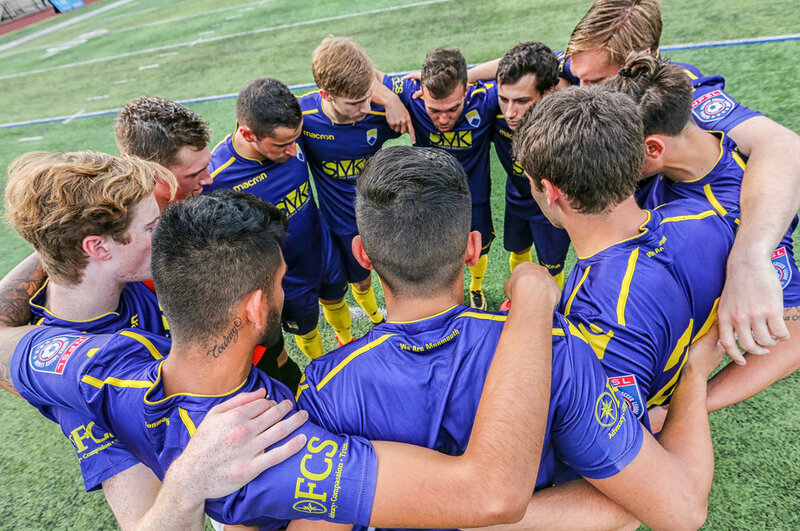 RED BANK, NJ – FC Monmouth defeated their first Pennsylvanian opponents of the season Hershey FC by a score of 2-1 at Count Basie Park on Saturday evening, improving their record in the National Premier Soccer League (NPSL) to 2-2-0. FC Monmouth: Weigel, Judge, Pereira, Martinez, Gaynor; Vicente, Antunes, Covello; Thorsheim, Saling, Valerio. Hershey FC: McCauley, Caldwell, Frost, Sherman, A. Panuccio, Sarver, Pepper, Hudson, Rowe, Drewery, Moerschbacher. Head Coach Brian Woods said, “It [the injuries] has a great effect on our game plan because now I’m changing things around that we’ve gone over during the week that we are not ready to change that early in the match.” One of the adjustments made by Woods included Judge being bumped from left-back up to central midfield, an unnatural position for the defender. “But overall, the guys I did put into the match did an outstanding job,” he said. The remainder of the first half was quiet for both sides, and though FC Monmouth entered the halftime break up 1-0, Judge believed that the squad’s mental state was not at its strongest. “At halftime it just seemed like everyone’s energy was a little low. Our heads weren’t in the game at that point,” he said. “I think the goal really woke us up,” Judge said. “After a few more minutes went by in the half I feel like we gained some traction again.” Over the next fifteen minutes, Monmouth had a flurry of shots on goal saved or fly just wide of the target as they tried to re-claim their lead. 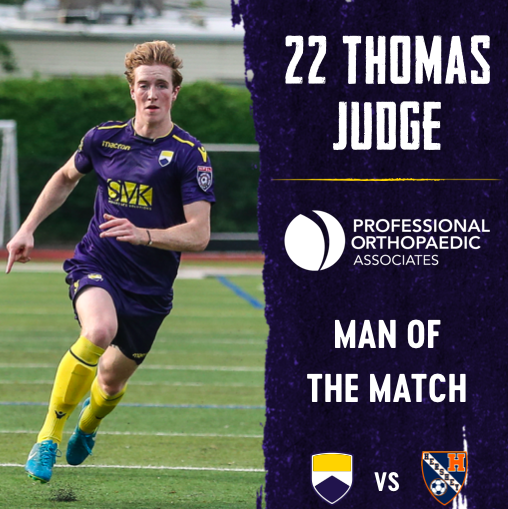 In the 77th minute, they did so, thanks to a dazzling solo effort from Judge. After intercepting a pass near midfield, the defender burst past one man and drew another in as he dribbled into the box down the left side. “I had the right-back to beat. I just faked inside, cut back outside, gave him a little shove, and then shot it into the far post,” Judge said. FC Monmouth vs Hershey FC Highlights from FC Monmouth on Vimeo.